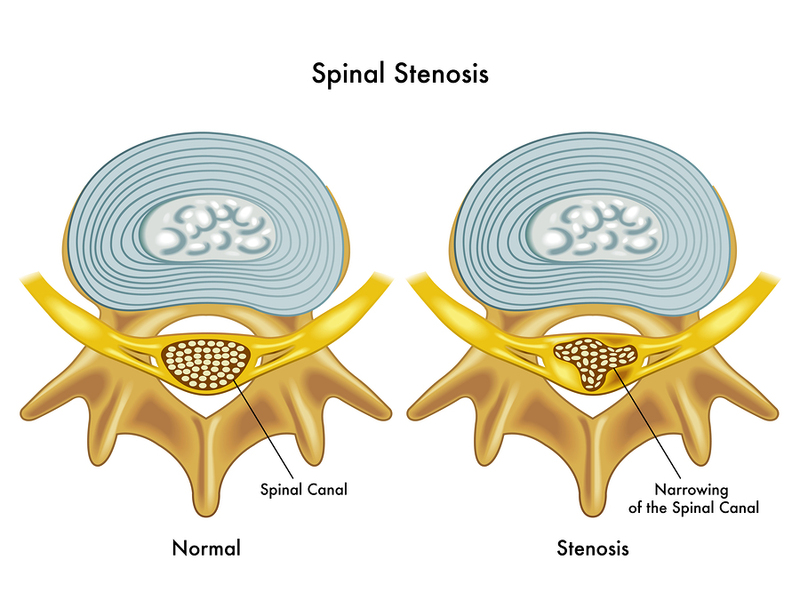 Spinal stenosis is a condition in which the spinal canal is narrowed, which can compress the sensitive spinal cord and nearby nerves. Spinal stenosis can result in troublesome symptoms such as lower back pain, leg pain, difficulty walking, and frequent falling. To treat spinal stenosis, an orthopedic surgeon in Miami might recommend a type of back surgery known as laminotomy. Laminotomy is a spinal decompression surgery that is similar to a laminectomy. Continue reading to find out more about this treatment option. Typically, spine specialists only recommend surgical treatment for patients who suffer from severe pain and other symptoms. Additionally, ideal candidates for a laminotomy have already tried non-surgical orthopedic treatments, such as physical therapy, medications, and injections, yet have not achieved sufficient relief of symptoms. Before undergoing back surgery, it’s important for patients to fully understand what’s involved with the procedure. Patients can expect to consult an orthopedic surgeon, at which time they can ask any questions they may have. Patients will need to disclose their full medical history, including other medical conditions, medications, and supplements. As with any surgical procedure, patients who smoke may be advised to quit to support post-surgical healing. Some patients may be instructed to discontinue the use of certain medications and supplements for a period of time prior to the surgery. By midnight of the evening prior to the laminotomy, patients will need to cease food and liquid intake. After placing the patient under anesthesia, the orthopedic surgeon will create one long incision for an open surgery or multiple small incisions for minimally invasive back surgery. Then, he or she will remove a small portion of the lamina—the back section of the vertebra—in the treatment area. By removing part of the lamina, the surgeon can provide the spinal cord and nerves with more space within the spinal canal. Sometimes, a laminotomy may involve more than one vertebrae. This procedure may sometimes be combined with other surgical techniques, such as spinal fusion, which involves permanently connecting two vertebrae to each other. This prevents movement in the area, which can relieve severe symptoms.